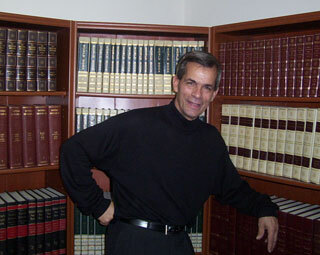 Ralph's life-long passion for music became a reality with the production of his first 3 CDs from 2003 to 2005. In 2006, he was thrilled and honored to perform I May Never Get to Heaven by Conway Twitty and Unchained Melody by the Righteous Brothers before 2200+ people at the annual COSAP Variety Show at the renowned Roy Thomson Hall in Toronto, Canada. 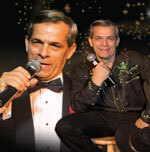 In 2008, Ralph opened his own one-man Variety Show in Branson, Missouri and continued shows there at the God and Country Theater through December 2013. Since 2018, Ralph includes a visual presentation for every song in every show to add to the enjoyment of his performances. He is excited to return to the Rio Grande Valley for the 2018/2019 season beginning on December 16th with a series of seven Christmas shows and concluding with a St. Patrick's Irish show on March 17th. Ralph loves to interact with his audiences and his musical diversity has resulted in various return engagements in the Rio Grande Valley. He can tailor a show to meet specific musical and time-restricted preferences. As well, Ralph enjoys performing Gospel music and has been a guest soloist at various churches and Gospel functions. 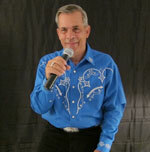 See Ralph's Rio Grande Valley Schedule, or hear him perform a few songs on this site, or visit www.wintertexaninfo.com. To arrange a performance at your facility, please see Contact Info.